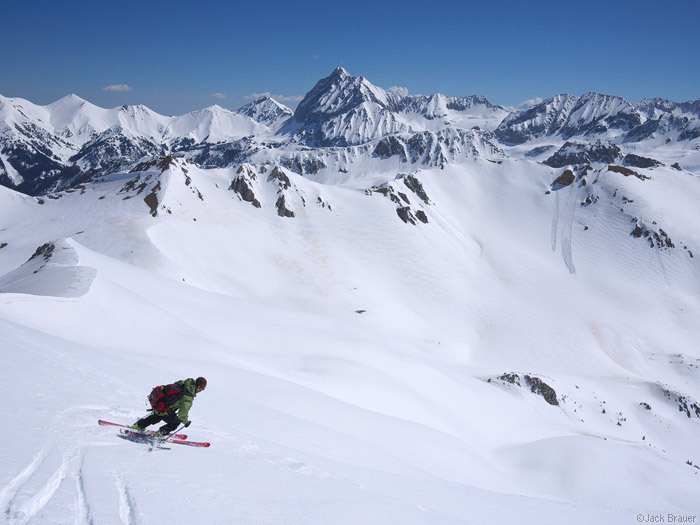 With record-breaking snowfalls in April, continuing well in May, the spring ski season in the San Juans was a memorable one. 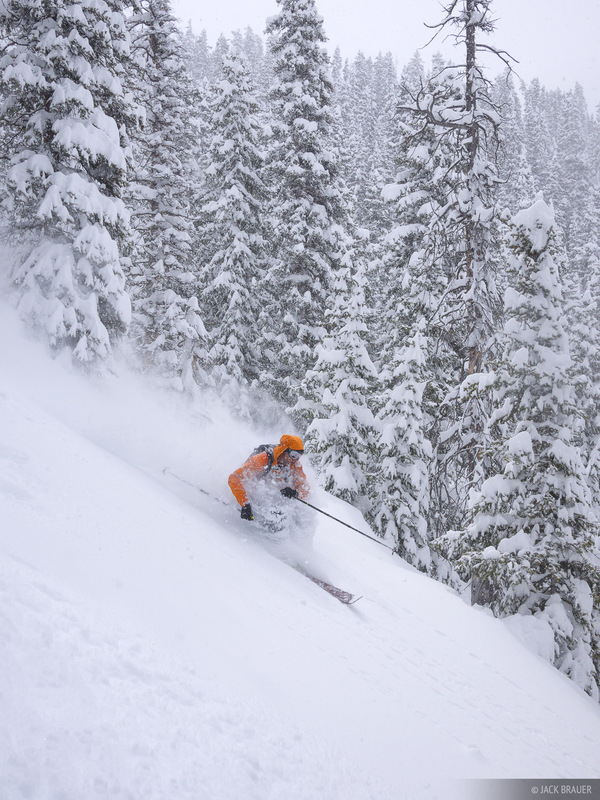 May surprised us with several long snow storms that brought mid-winter-esque powder days and smiles all around! Here is a collection of my favorite ski photos from May and June. 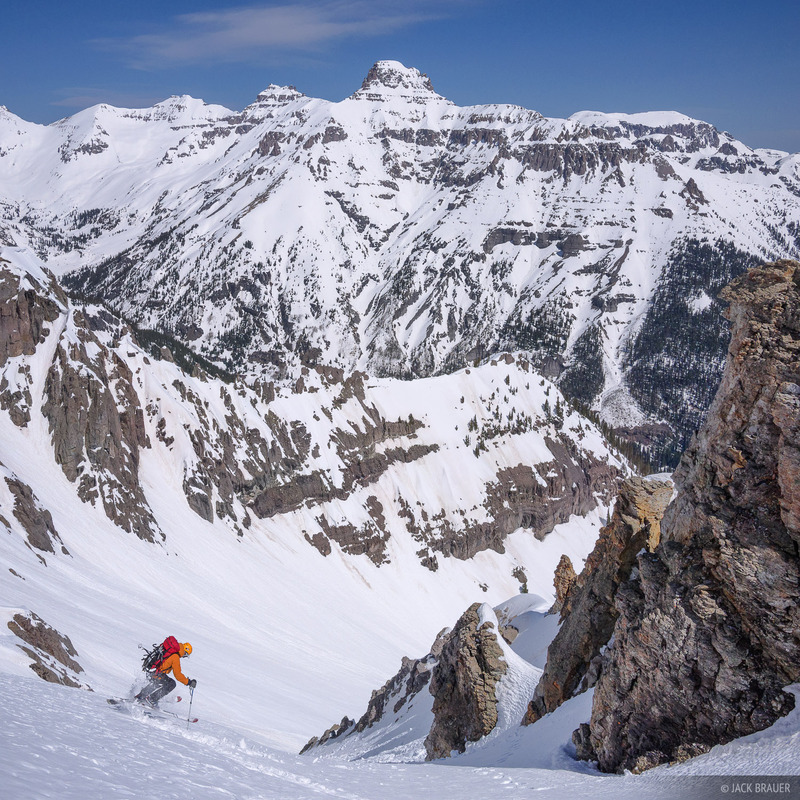 Sean Hart skis a steep couloir on United States Mountain in the Sneffels Range near Ouray - May. Potosi Peak looms in the background. 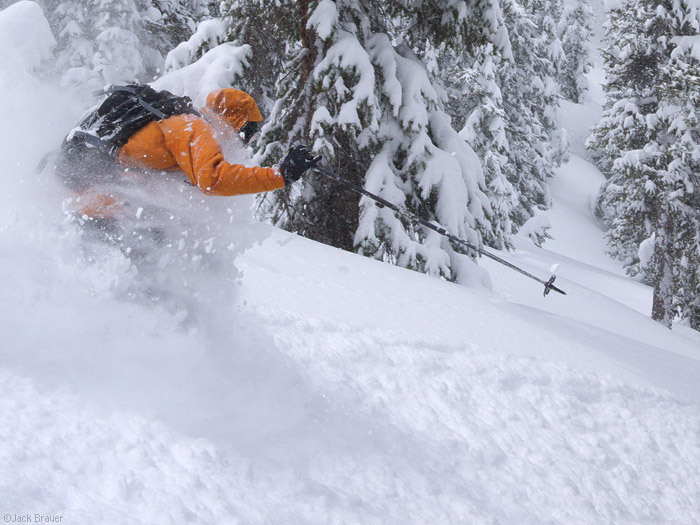 Matt Wade enjoys some fresh May powder. Skiing with a view of Capitol Peak in the background - May. Skier: Scott McCurdy. See more photos from this ski trip here. 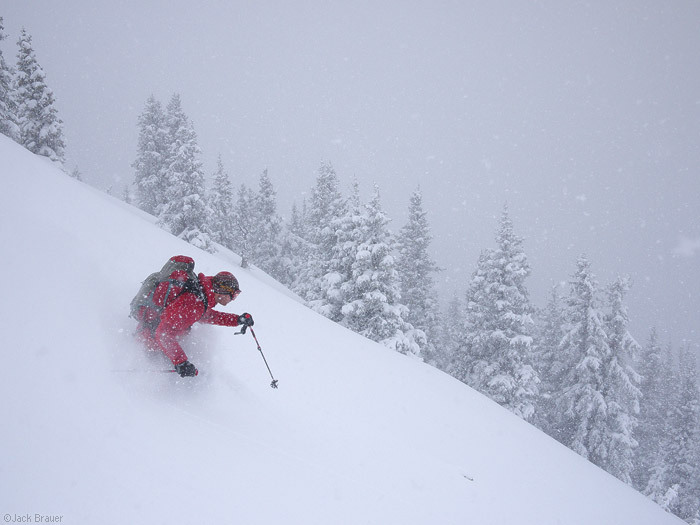 Skiing deep powder in May. Skier: Jeff Skoloda. Jeff Skoloda getting face shots in May! This would be incredible snow any time of the year... in May! 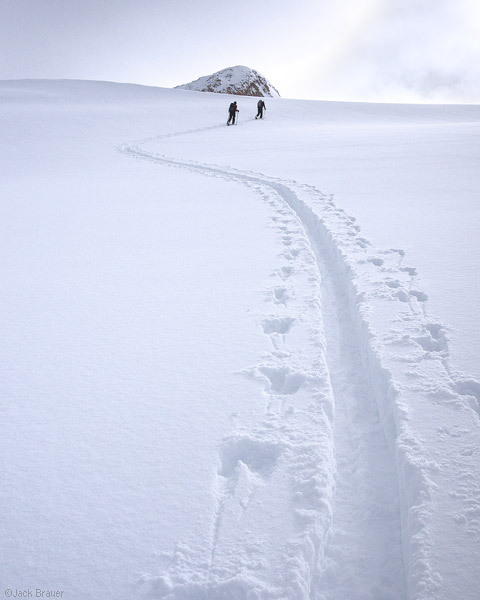 A skin track through fresh powder. 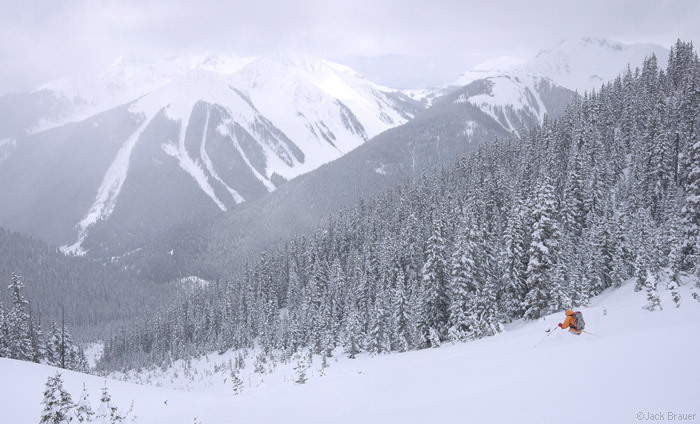 Jeff Skoloda skis a big powdery face in May. 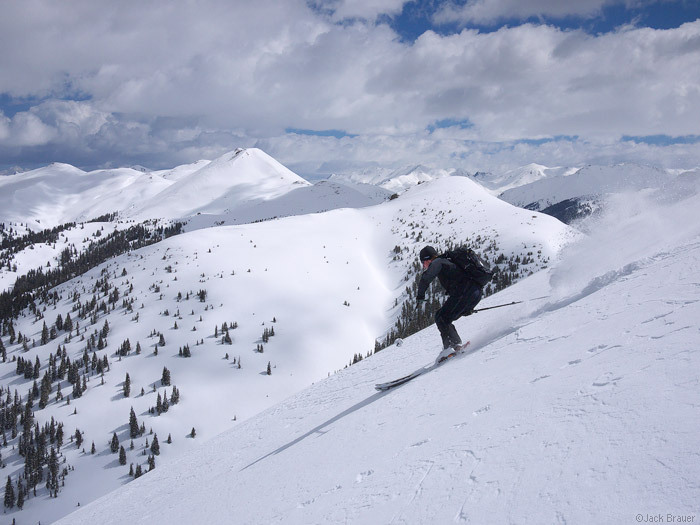 Jeff Skoloda skiing some great powder in May. 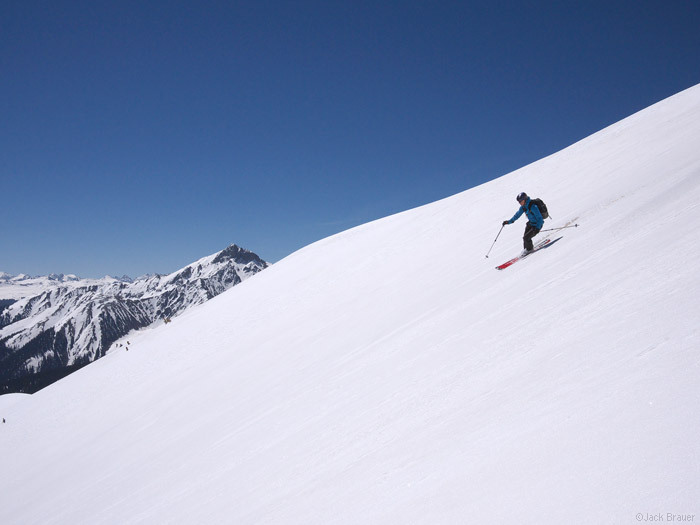 Chris Jackson skis a fine line near Silverton, May. Skinning up into the clouds. Paul McElrea skis some perfect cream cheese powder - May. 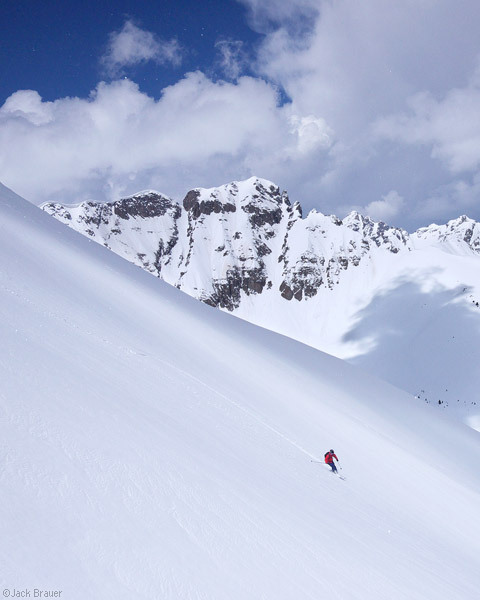 Skiing a large face, smooth as a pool table, in the San Juan Mountains, May. Skier: Chris Cover. 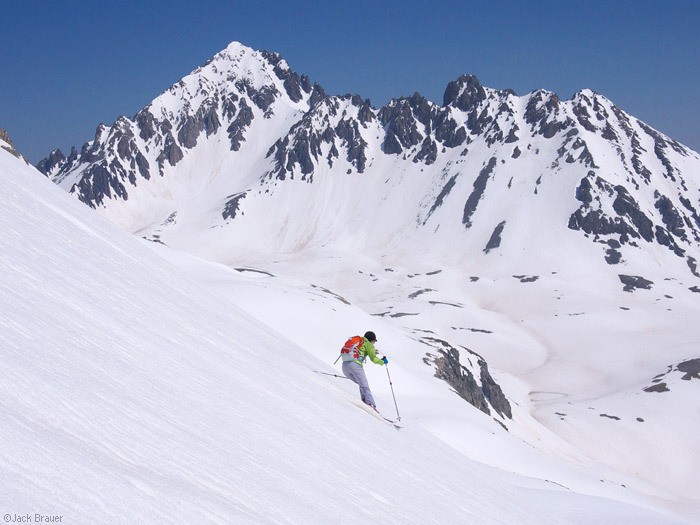 Ann Driggers skis a big face on the last day of May. 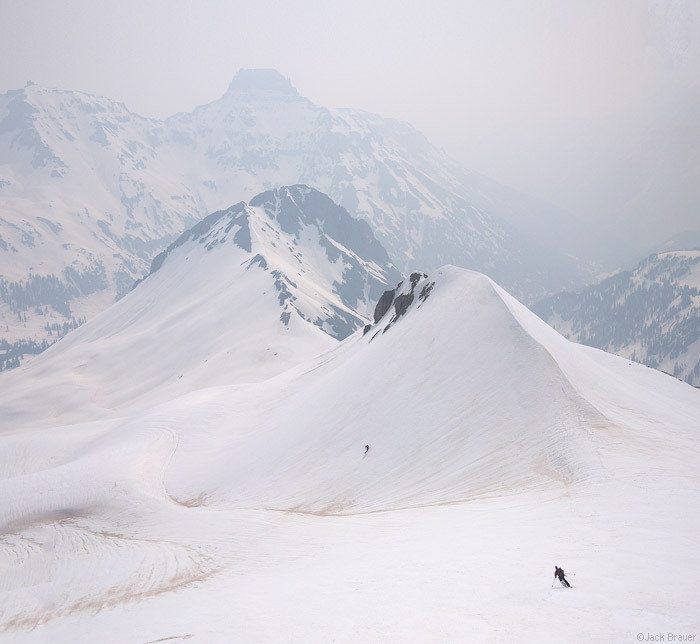 Skiing in June, with the San Juans choked with smoke from a huge wildfire in the White Mountains of eastern Arizona. 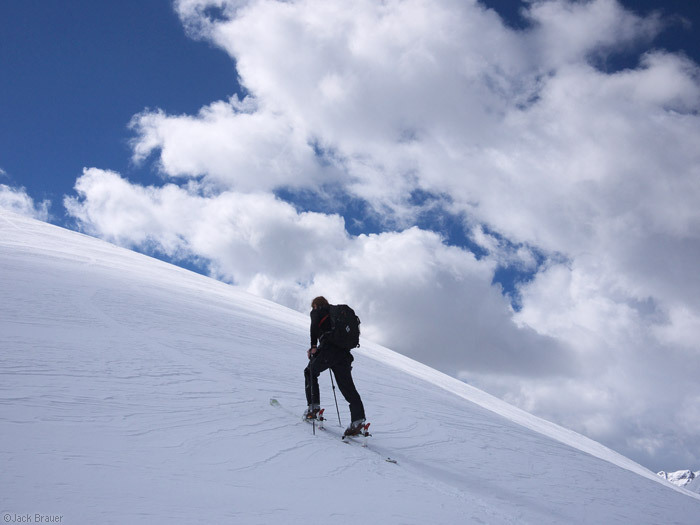 Ryan Cook skis with Mt. Sneffels looming behind - June. 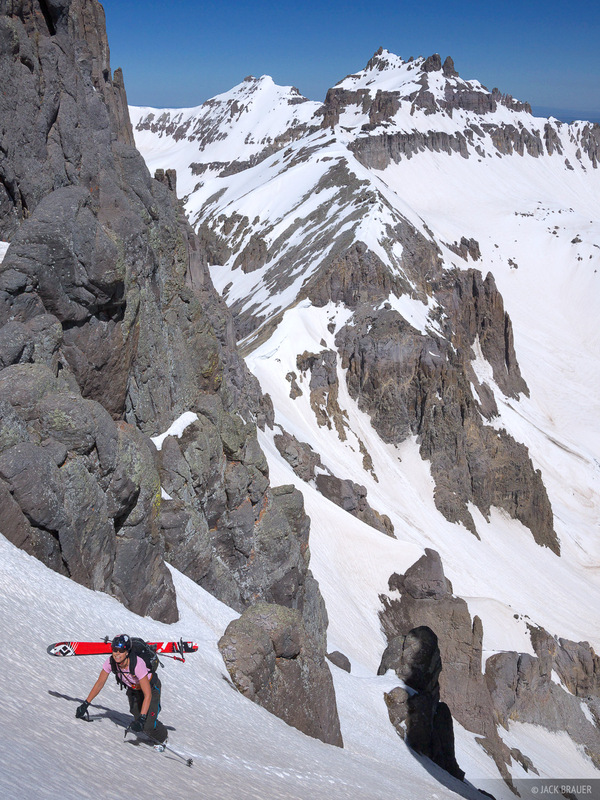 Ann Driggers climbs up the steep north couloir of Potosi Peak - June. Teakettle Mountain is in the background. 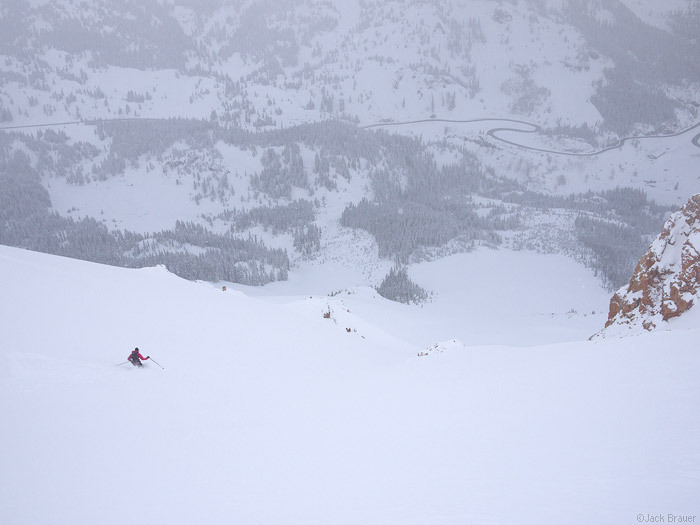 See more photos from our Potosi ski here! 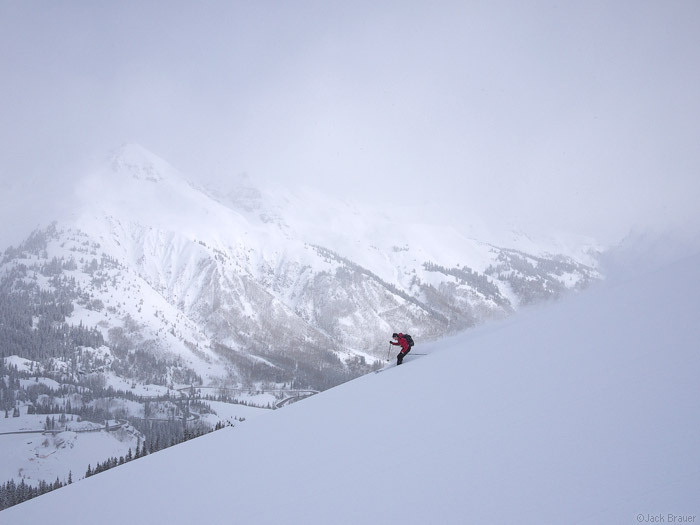 Aimee McAbery skins to the top of a snowy ridge in the San Juans - June. View it larger here! 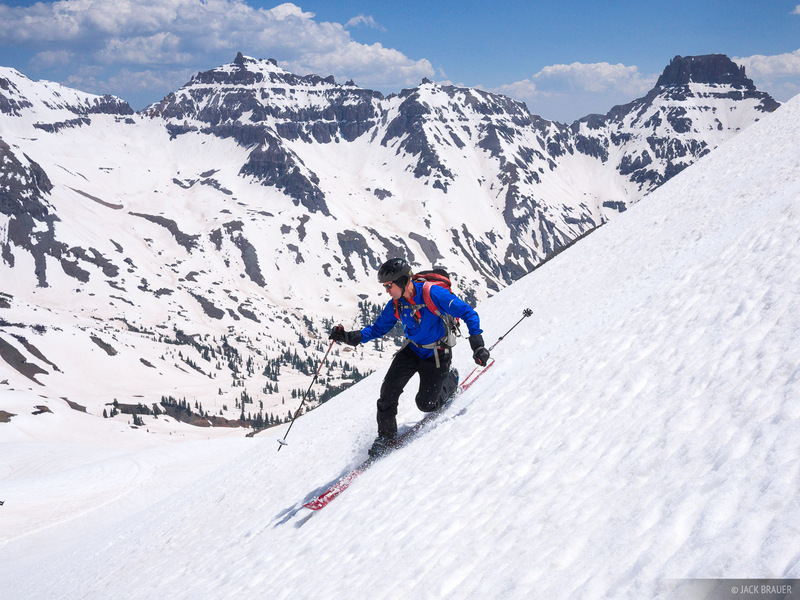 Chad Driggers shreds a tele turn in front of Teakettle Mountain - June. 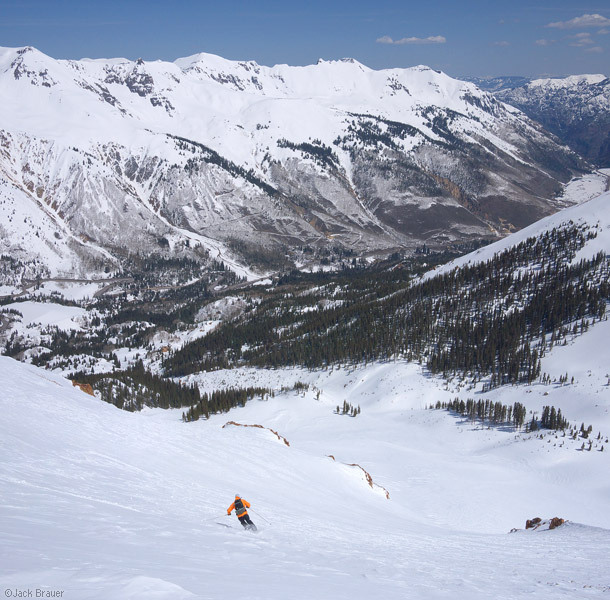 See more backcountry skiing/snowboarding photos from Colorado here!